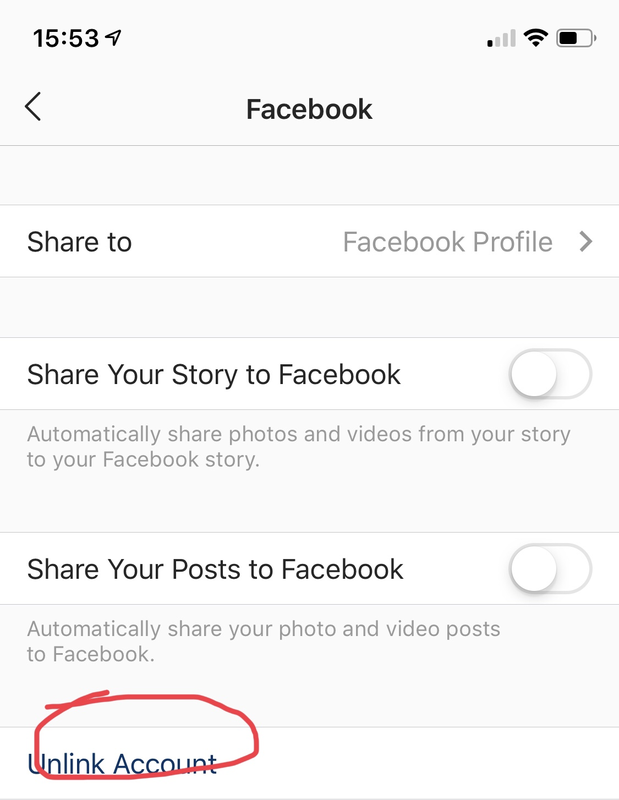 Are you trying to share the photos automatically? If so, the iMore Blog has an excellent tutorial. You can view it via the following link. So right before you share your post, the Facebook account is clicked on? I had this happen about a year ago. 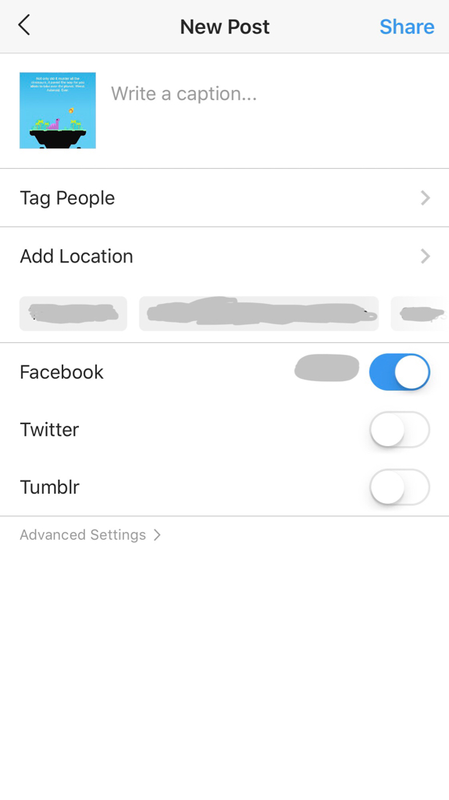 You need to unlink your Facebook account within the Instagram app. Afterward just follow the steps in the previously mentioned tutorial to get it back up and going. If that doesn’t work the other thing to try is deleting Instagram as an authorized login within the Facebook app.